A friend from my old church happens to be the prez for True Worshippers....a group of young men and women in the DMV are who are dedicated to putting on an annual gospel concert during/around July 4th (held July 17th this year). I missed the first concert last year cos I was still residing in Florida. When buddy asked me to be the official photographer for the event I jumped at the opportunity to capture the moment, and have front row access to a wonderful praise & worship session. Members of the True Worshippers team, including the prez Yaw Osei-Owusu(middle). Paster Bezaleel started off with the praise and worship to set the tone of the event. 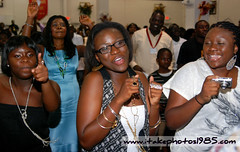 Some attendees engaged in the praise & worship session. Moses O.K. 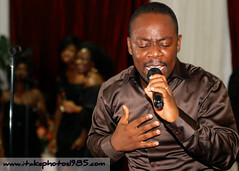 a young gospel artist from Kumasi, Ghana led the charge! 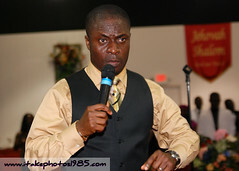 Seasoned veteran and former leader of the Soul Winners group in Ghana, Kenneth Appiah took over. 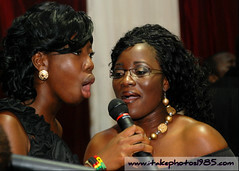 Back-up singers for the event. 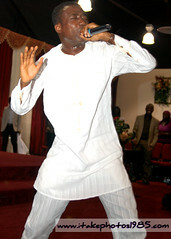 Nii Okai, another prolific Ghanaian gospel musician also took it home and ushered an anointed presence during worship. 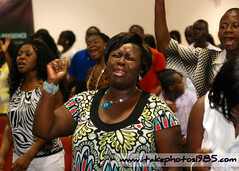 All in all True Worshippers: A night in His presence 2010 was a fun, charged atmosphere and I had a phenomenal time. 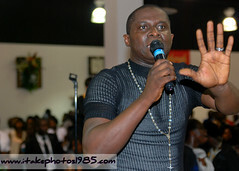 Prior to the concert, Yaw brought Moses O.K. and Nii Okai to Sunlight radio station, one of the projects I'm working on with my dad at Media Afrika LLC, for an interview. Using my alias as Komla the OdadeE I had the opportunity to interview the guest artists before the concert date. To Yaw and True Worshippers thank you...for a concert very well done! 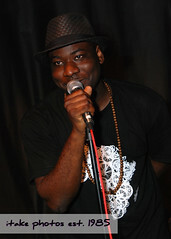 My home boy Osekre had a book launch in NY a few days back and I had the chance to photograph event. The best part of the nostalgic Ghanaian songs and witty rhymes was the opportunity to also meet Blitz the Ambassador -a black star (no affiliation with the football team) and witness first-hand the Achimota High School graduate's lyrical genius. Ghana Black Stars! 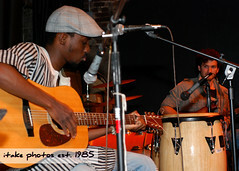 • yɛ da mo ase (Thank you) from MVMT on Vimeo.